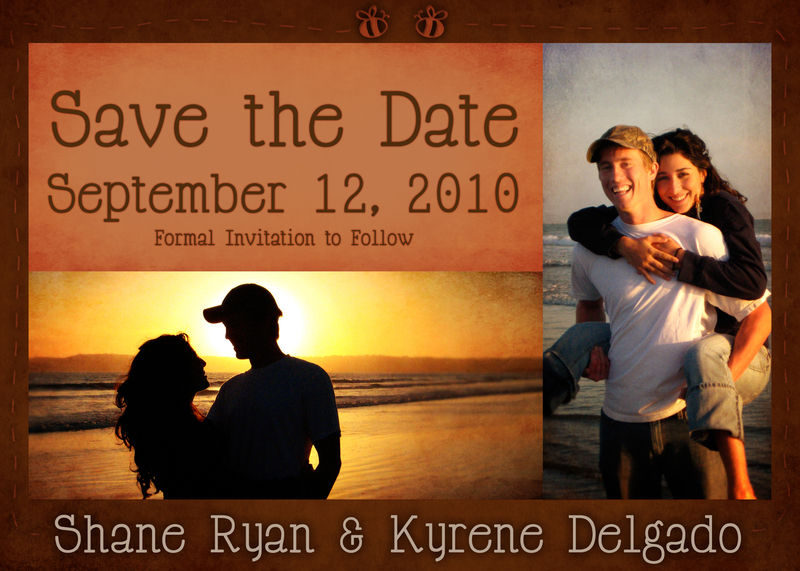 When Shane proposed to Kyrene earlier this year, the very next day Kyrene asked me to design their invitations and I was thrilled for the opportunity! These two are so genuine, so generous, and truly meant 2 bee! They embrace everyone with the biggest hugs they can muster and have a love for one another that is contagious! Kyrene’s father is a beekeeper, but Kyrene was nervous to incorporate bees as it may be cheesy, but I promised it wouldn’t be! 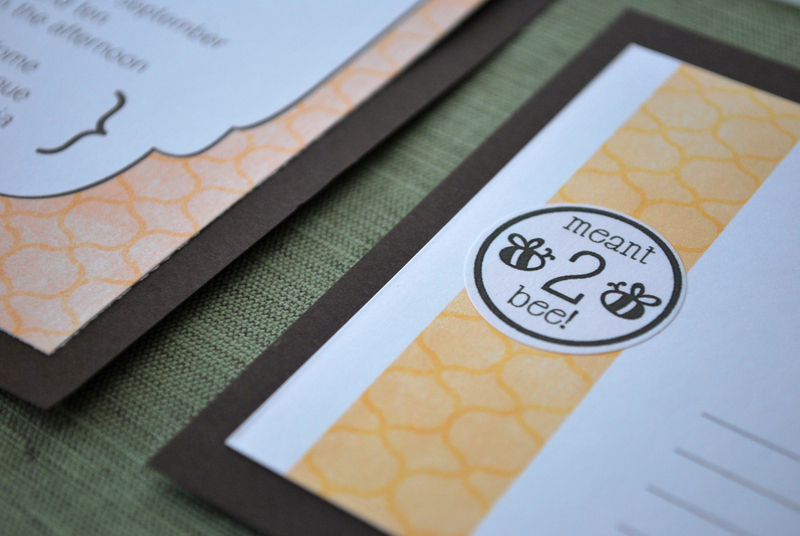 With the theme of a little bit of bees and rustic elegance, we went to work. 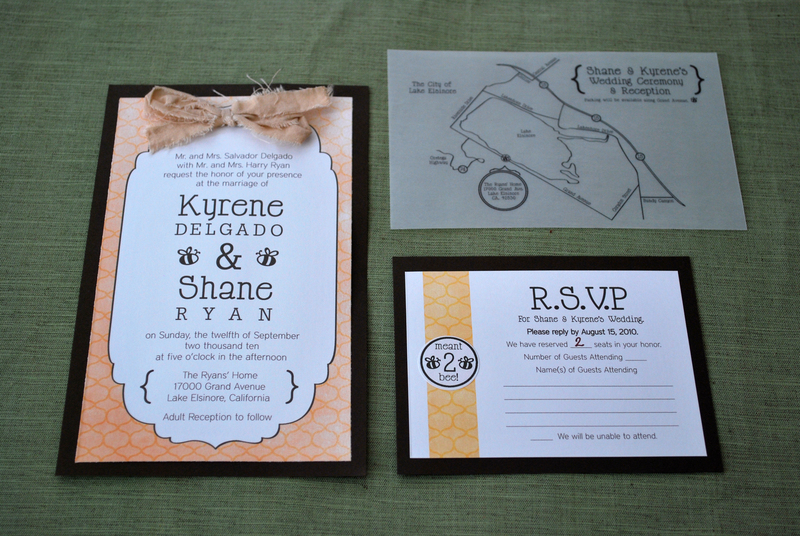 Starting with their save the date and then incporporating the little love bees across the invitation set. 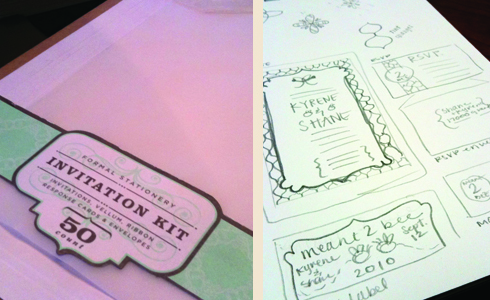 They had received an invitation kit to use so I had a blank canvas to work with. 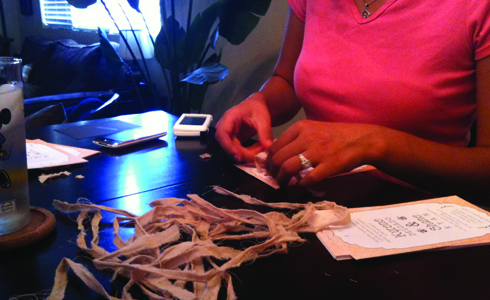 The paper was embossed so each page was individually cut out to accommodate a flood of color! 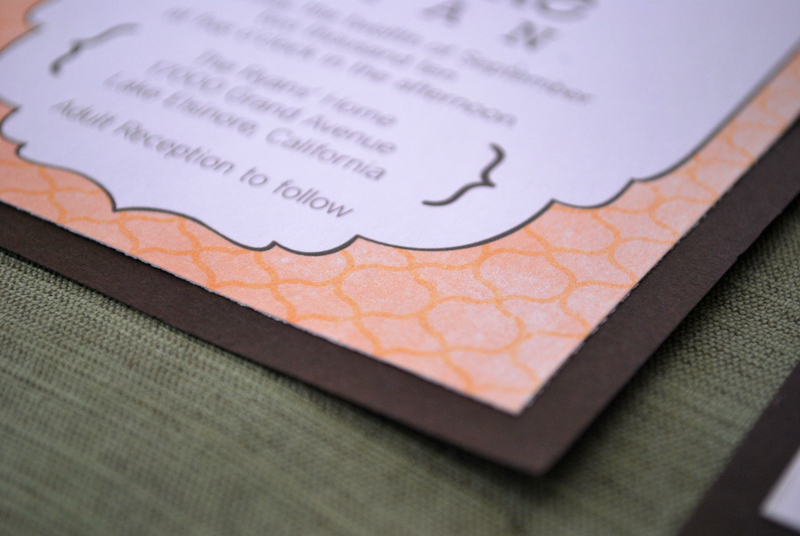 I created a pattern for the background to resemble honeycomb but used a more curved shape pattern. 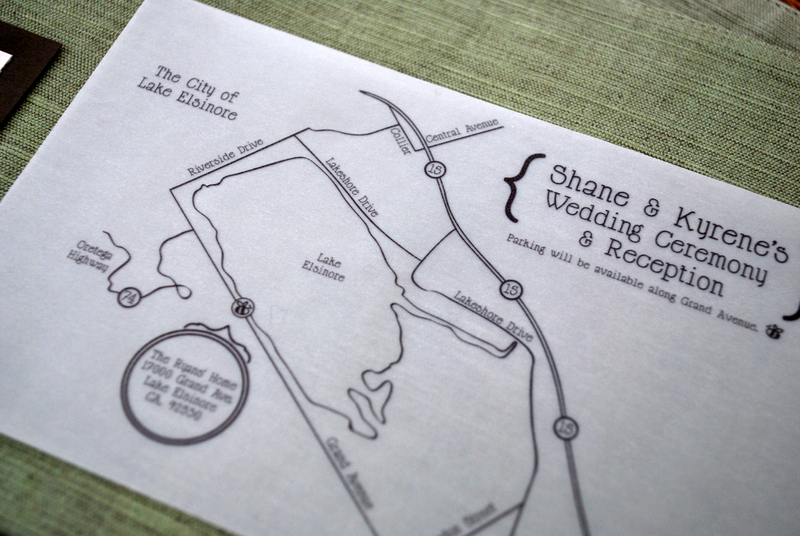 After printing, each one was then tied with a tea-stained piece sheeting material to enhance the rustic feel and then backed with a solid chocolate brown card stock. Hope you like them! I just love them! 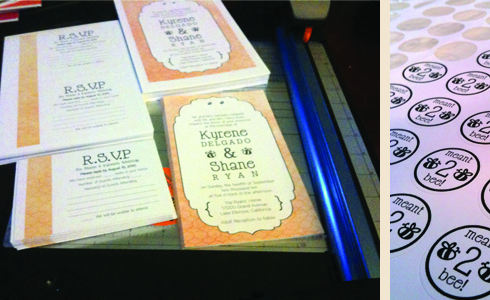 It’s my first, I hope of many, wedding invitations! These are pretty much awesome. 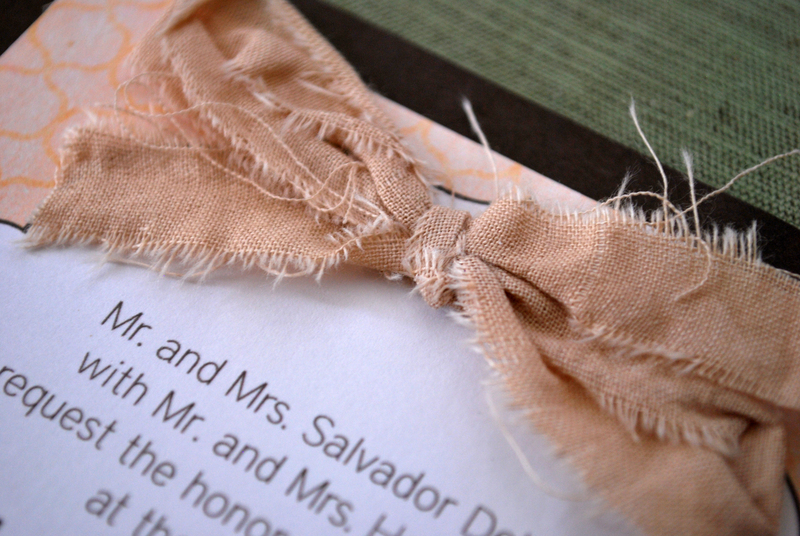 When K and I get married again, I am calling you for my peacock invites. Be brainstorming. Good job! 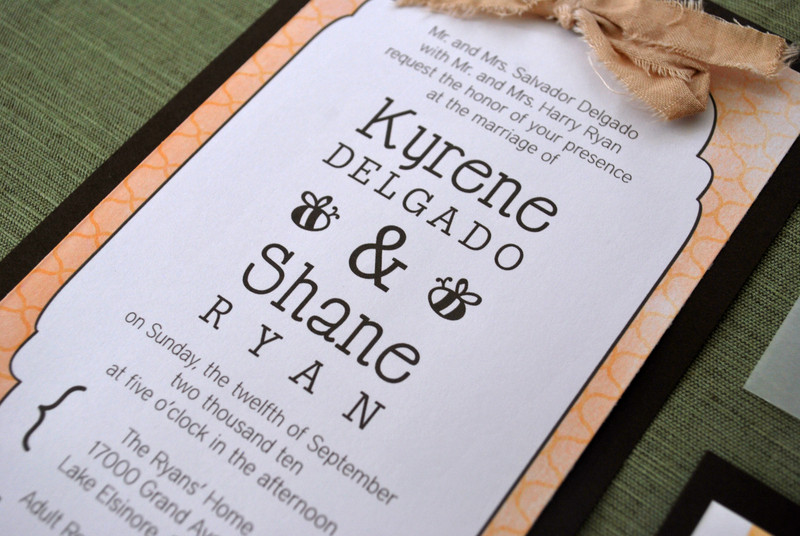 I love that the bees were incorporated into them.